Life Link III has been named Program of the Year by the Association of Air Medical Services (AAMS). 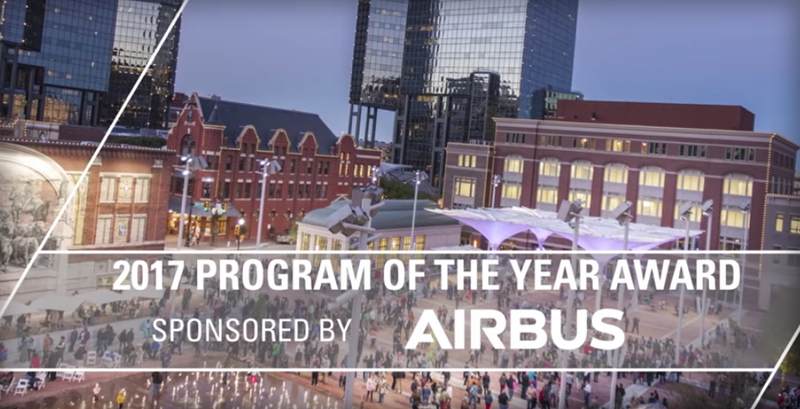 This award, sponsored by Airbus, recognizes an air medical program that has demonstrated a superior level of patient care, management prowess, and quality leadership through visionary and innovative approaches, customer service, safety consciousness, community service and commitment to the medical transport community as a whole. “Life Link III is the epitome of world class critical care transport medicine. Since 1985, Life Link III has set the industry benchmark for achieving incredibly high standards related to safety, quality, clinical care and innovative leadership. Congratulations to the Life Link III team for achieving the prestigious 2017 AAMS Program of the Year award,” said Dave Evans, AAMS Chairman of the Board. “On behalf of our employees and board of directors, I am honored and humbled to accept the 2017 AAMS Program of the Year award. Everyone at Life Link III strives to always do what is best for our patients, and this award is a reflection of our continued commitment to providing the highest level of patient care,” stated Edward Eroe, President & CEO of Life Link III. Life Link III provides air medical transportation for patients in Minnesota, Wisconsin, and North Dakota and throughout the United States via helicopter and airplane. The company provides on-scene emergency response and inter-facility transportation, caring for the most critically ill or injured patients. Life Link III is one of the largest hospital-based non-profit consortium programs in the United States. Today, nine healthcare systems comprise the Life Link III Consortium, which guides the company’s clinical and business practices. As a leader in clinical excellence, Life Link III has implemented innovative bedside technology in the air medical setting. Flight clinicians are able to leverage data-driven information to provide seamless, optimal care from a scene incident or inter-facility transport with a broad variety of medications and technology that are quickly accessible and deployed on-board the aircraft. Life Link III is a CAMTS accredited program (Commission on Accreditation of Medical Transport Systems) and serves as the exclusive air medical transport service for four neonatal ICU (NICU) teams. Life Link III is proud to report strong employee engagement scores that rank four times the national average. Everyone at Life Link III – from those in the Communication Center who dispatch the aircraft, to the clinicians administering patient care, to the administrative staff and leadership who support the operations – play a key role in the growth and continued success of this award-winning air medical program.